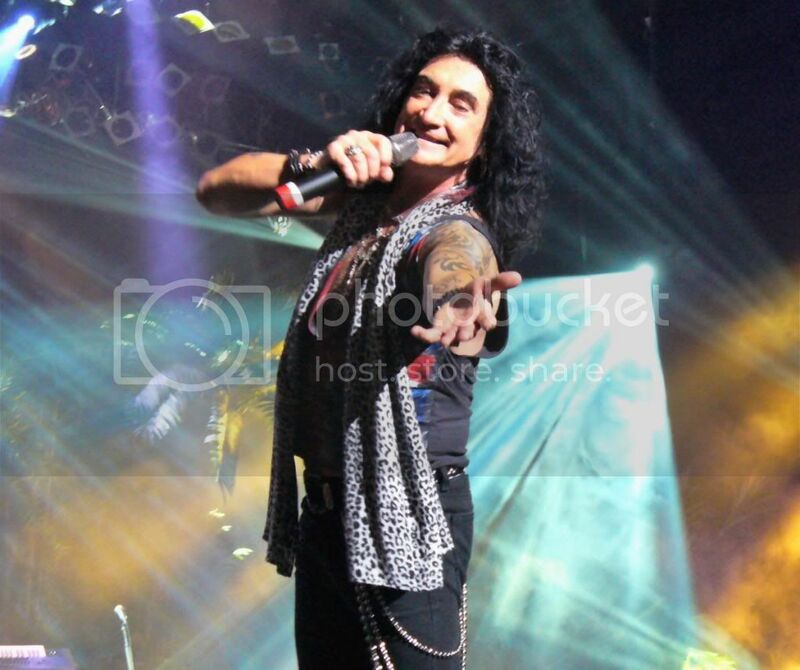 Rock Vault - Best show in Vegas to me! Hey, don't take my word for it, that was a comment from a 24 year old, and echoed from so many of our guests, friends, and clients of all ages who have seen this show. Awesome, amazing, outstanding, are among the many other positive adjectives that follow the performance. For fans of Classic Rock, Raiding the Rock Vault is a Vegas show you'll surely want to see. It's performed by Rockstars who have played with some of the greatest bands of the era. Going beyond my personal circle, in the short time it's been playing the show has worked it's way up into the top 10 attractions on Tripadvisor and currently in the #4 slot, of over 500 attractions and #1 of 169 Las Vegas Shows. Their fan base is growing on Facebook, where I have posted more pictures on my own page. Yelp reviews for Las Vegas currently gives Rock Vault 5 stars. A relative who is a travel professional recently emailed to tell of a trade publication mention. This so they can inform their clients that Raiding the Rock Vault is among Las Vegas Must-See shows. The same was said about an underground Las Vegas entertainer secret society music jam that I've written about in a previous post. A connection here, but we'll get to that in a bit. Rock Vault had it's soft opening in early March 2013 at LVH Hotel & Casino, formerly the Las Vegas Hilton, next to the Las Vegas Convention Center. An appropriate venue for a Classic Rock show as it's the stage that has hosted so many great bands and performers of this genre, including The King, Elvis Presley. From resident headliners and limited engagements to concert tours, this is one of the historic theaters of Las Vegas. 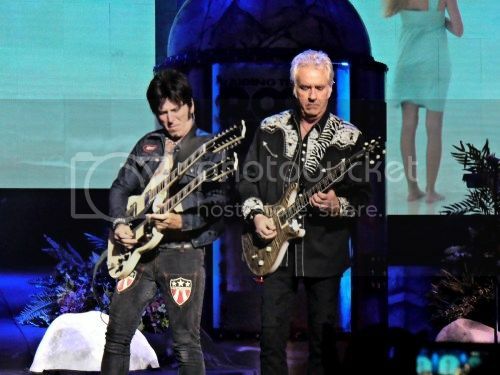 There you'll now see this amazing band that includes Rock & Roll Hall of Famer Howard Leese on Guitar (Heart, Bad Company), John Payne on Lead Vocals and Bass (Asia),Tracii Guns on Guitar (L.A. Guns, Guns N’ Roses), Robin McAuley with his Lead Vocals (MSG, Survivor), Paul Shortino adding his own share of Lead Vocals and Guitar(Rough Cutt, Quiet Riot), Jay Schellen on Drums (Badfinger, Asia), Andrew Freeman's blend of Lead Vocals and Guitar (Lynch Mob, The Offspring), and Michael T. Ross on the Keys (Lita Ford, Hardline). It's an impressive lineup that produces an amazing sound. Then there are special guests added on top of all this. In just the weeks they've been running, vocalists Bobby Kimball of Toto, and Joe Lynn Turner of Deep Purple and Rainbow have joined in to rock the house. 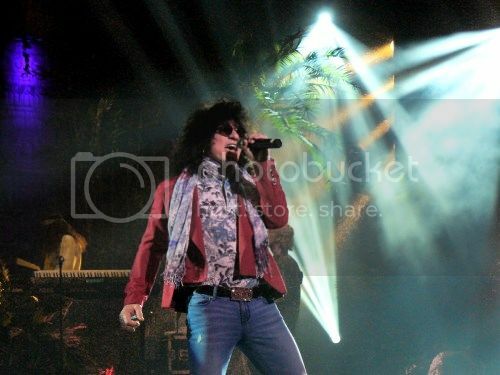 What you should also know about Rock Vault is that it's more than a concert, or just some cover songs. It's a set list of some of the greatest rock songs of all time combined with the history of Rock music and how these songs portrayed the changing society and lifestyles. The history comes from actors as well as information flashed on the multiple video screens. The music is from The Rolling Stones, The Who, The Doors, Led Zeppelin, Jimi Hendrix, The Eagles, Queen, ZZ Top, AC/DC, Deep Purple, Van Halen, Journey, Free, Bryan Adams, Bon Jovi, Def Leppard and many more.While of course they can't do them all, a lot of variety in this 2 hour show. The songs from bands of this period have been so strong they can live on today in everything from TV shows and commercials to the movie screen. 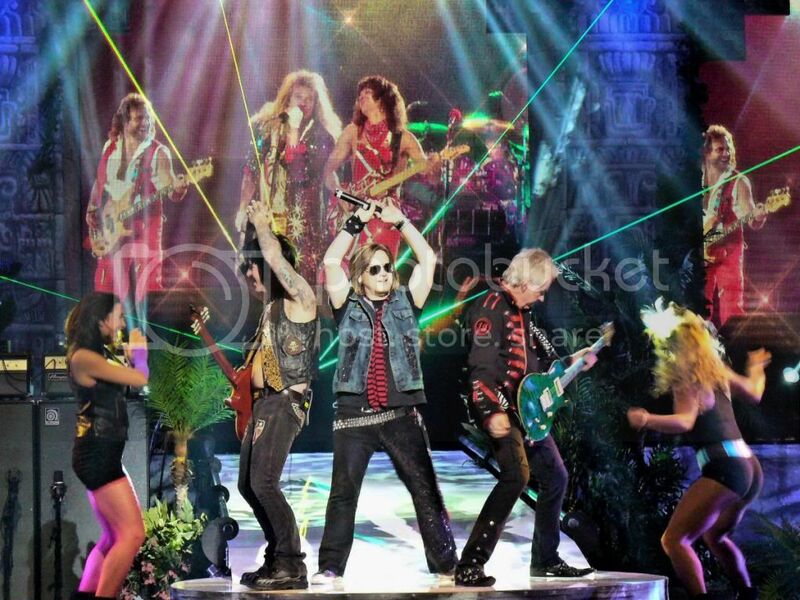 That's why Rock Vault has the potential to appeal to such a wide age group. For those that grew up with these songs it's a trip down memory lane. For the next generation still hearing the songs today, it visualizes how the music, sounds, and presentation evolved, and was a reflection of the volatile society at those points in time. From war and protest to peace, love, and integration, long haired hard rockers with leather & chains, to the dress-up and dance styles of disco, to some bands adding an aire of sophistication, and how this all intertwined. The show also provides a look at the increasingly rapid evolution of technology, as vinyl is replaced by tape and then digital. This roughly 30 year span was the dawn of the technology of the digital age we take for granted today. The phonograph and jukebox that date back to the late 1800's become nearly extinct within a slice of this short time. This after decades of use and only improving upon that existing form of tech, now considered 'ancient'. Records moved to new formats of 8 track and then cassette tape, and on to digital CD. Today's music delivery via MP3s, Ipods, or your cell are again only improvements to what was commercially developed in that period. The show also symbolizes how audio morphed into music video, and reveals how the popularity of radio becomes replaced by the visual of Music Television. Bands evolve from simply standing and playing in their 'spot' on stage, to 'rocking out' with light shows and special effects that we continue to see. If living outside of Las Vegas, you may be wondering why you haven't heard of this show. 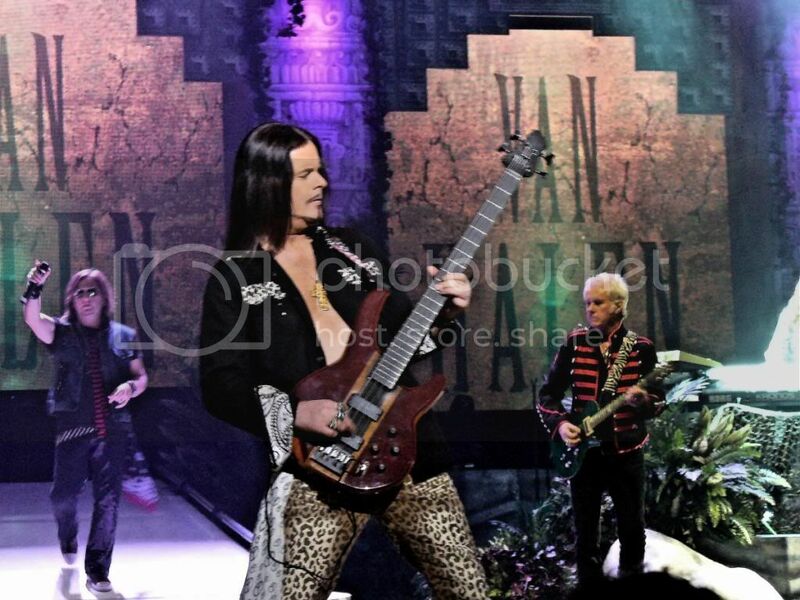 Coming into town you may be curious when you see Rock Vault billboards, on cabs, or bus wraps. Rock Vault obviously has an amazing lineup of musical talent with a crisp sound. It injects an interesting storyline depicted by actors in short and funny sketches. The only thing Rock Vault doesn't have is the benefit of a Broadway run, touring show, or TV exposure to introduce it to the rest of the world. If any of those had happened, you would probably find it hard to get a ticket. One of the advantages of being a Las Vegas local is that not only do you have access to a multitude of entertainment options, you often get the inside scoop on what's hot before it hits the masses. Now I will add a disclaimer that will tie in something I mentioned earlier, as well as why you're reading about a Las Vegas Show on my real estate blog. I know Paul Shortino of Rock Vault, as he's lived here for some time. Chances are, if you're a local and been around town you may have heard him sing. Vegas rock fans have seen him perform at Count's Vamp'd, the club owned by Danny Koker (History's Counting Cars) or at other venues in the valley. He's also done everything from the national anthem at Wranglers Hockey games to donating his voice to countless community charity events. He's among the Las Vegas entertainers and celebrities that another Vegas local, Nicolas Cage, obviously refers to when he has said he finds so many compassionate and giving people in Las Vegas. Nic should know, since he's been adding his own share of contributions and appearances. I met Paul through another friend, founder of that 'secret society The Vegas Underground, and yet another Classic Rocker and local, drummer LJ Harness. 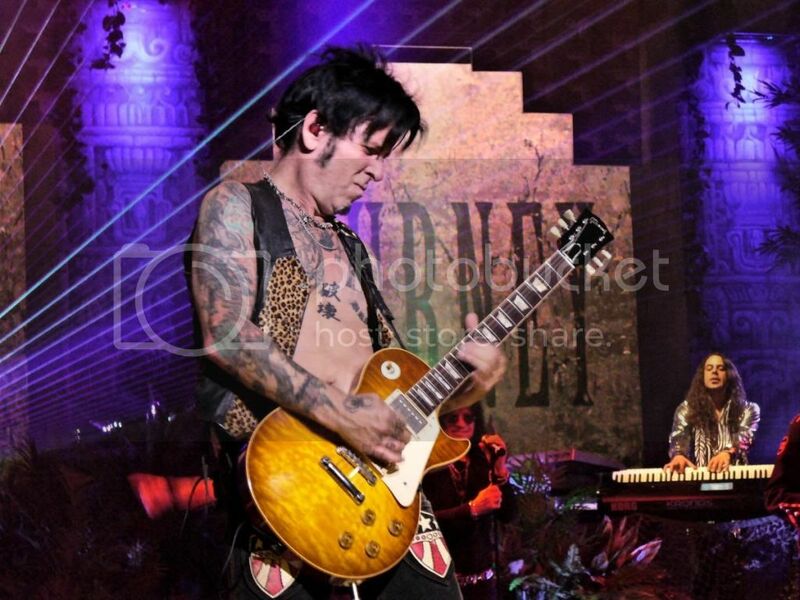 Paul has not only participated in these music jams that include events at the House of Blues Foundation Room, but in LJ's local charity fundraisers. The Vegas Underground, considered 'The Rat Pack of the Next Generation', was created to not only promote live entertainment, industry friendships and networking, and to give back to the community, but to bring back that special magic that made Las Vegas 'The Entertainment Capital of the World'. That magic was seeing the entertainers performing and having fun together on stage and making the audience feel a part of the show. Then for show goers to be able to rub elbows with the performers. It's something that's often lost today in crowded nightclubs with celebrity DJ's and paid celebrity 'hosts' seen from across the room. Or with the mega-theaters where once the performer leaves the stage that's the last you'll see of them. 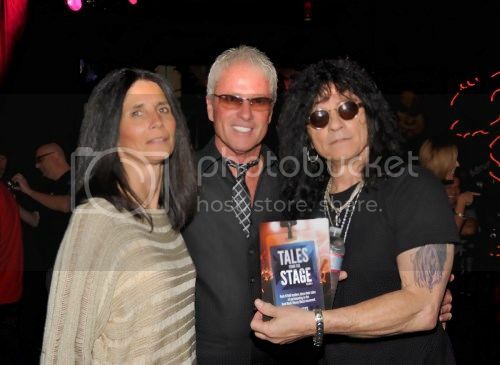 Raiding the Rock Vault also follows that magical spirit of Vegas. These rockers interact with each other and the crowd during the show and it creates an exciting vibe. Of course you might just want to stop by for an after-show cocktail at the Tempo Lounge just outside the LVH Showroom. Don't be surprised if these rockstars will trickle out of the theater and hang out with their latest fans. There may even be a celebrity guest from the audience that joins them... and you. 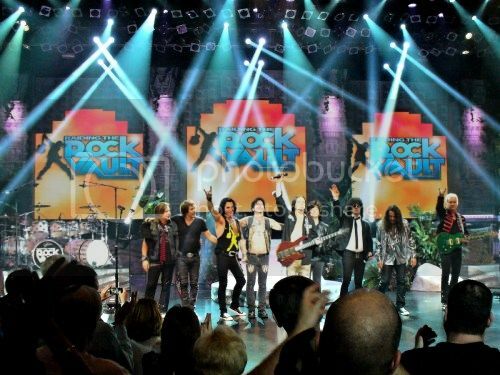 It's a Vegas experience you don't want to miss, it's Classic Rock and Classic Vegas style! Seeing a show like Raiding the Rock Vault and getting to meet and mingle with entertainers and celebrities is what makes Las Vegas a great place to visit. Having a show like this and so many talented neighbors in your own back yard makes Las Vegas an even more amazing and unique place to live. 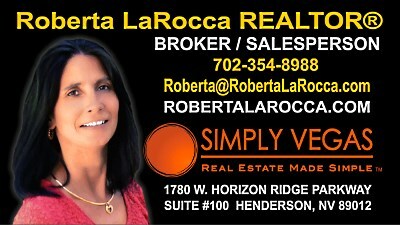 If you are interested in relocating to the Las Vegas area, I can assist you with your home search, so please get in touch. 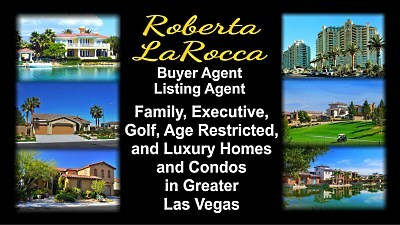 You can reach me at Roberta@RobertaLaRocca.com, or call 702-354-8988. I look forward to hearing from you!